Achievements Are Changing for Xbox One. Here's How. 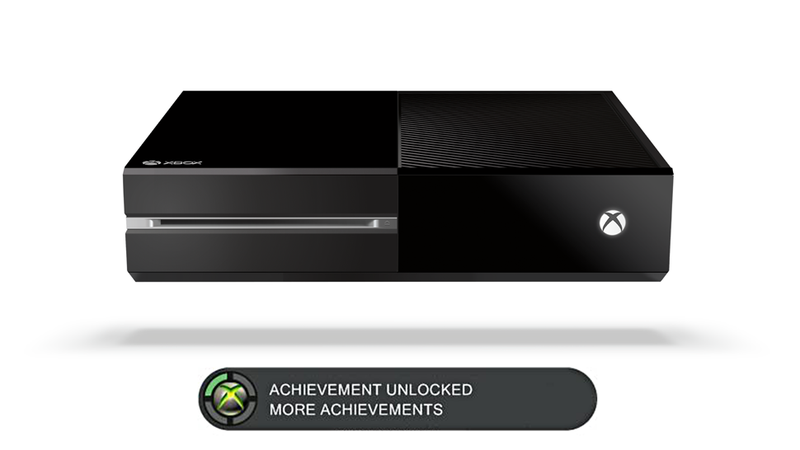 Achievements are one of the defining elements of the Xbox experience. Naturally, Microsoft will include them in the Xbox One. But they're not going to work like you remembered them, not exactly. There's more to them, now. The way it worked before was, a developer set up some sort of challenge. If you met it, you heard the iconic achievement unlocked! sound, and your Gamerscore would increase. That's still going to happen with the Xbox One, though you can expect more things to go along with that basic experience. Expanded achievements. A new and expanded achievements system captures video of your epic moments, continues to grow a game's achievements over time, and rewards you in new ways, and your Gamerscore carries over from your Xbox 360. Allows for new achievements powered by the cloud and offers more ways to earn, more frequent updates and the ability to share wins with friends. An expanded achievements system captures videos of gameplay and continues to grow achievements over time, and Gamerscores carry over from Xbox 360. Neat. The fact that you can record the events leading up to unlocking achievements using the console's new DVR feature will be incredibly handy for those of us who like uploading walkthroughs on YouTube, I imagine. I'm still left with some questions, though—how will it know when to start capturing an achievement-in-progress? How does being powered by the cloud give me "more ways to earn" achievements? What does growing an achievement over time look like in practice? How will the achievement-loving community change when the way you earned an achievement is tracked? Nonetheless, overall, these changes sound exciting. I'd like to see them in practice, although already I look forward to being able to share awesome achievement moments with friends (especially if that means sharing video). That feature makes the whole achievements thing feel like more than just a number, you know? Achievement unlocked part of the image via Technology Ninja.